Preheat the oven to 190°C/375°F. To make the pie crust, combine flour and salt in a bowl. Stir in vegetable oil and water, and mix until just combined. Form dough into ball. Then place on a floured surface and roll out with a rolling pin. Spray nonstick cooking spray on a baking sheet. Spread pie crust across the baking sheet. 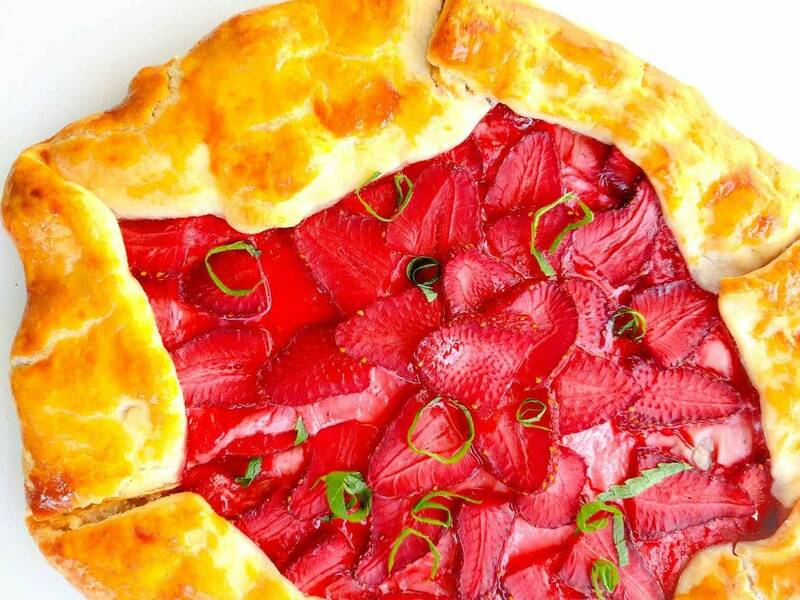 Spread a thin layer of strawberry cream cheese onto the crust. Slice and arrange strawberries in any pattern you wish. Fold over the sides of the pie crust, and wash the crust with egg. Drizzle the galette with honey. Bake in the oven for approx. 25 min. at 190°C/375°F until golden brown. Garnish with mint.